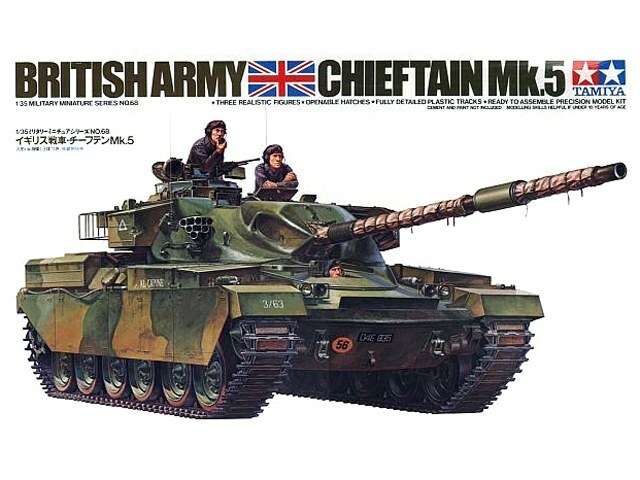 CHIEFTAIN Mk.5 BRITISH ARMY TANK. HIGHLY DETAIL MODEL KIT, ACURATE EXTERIOR DETAIL. FULLY DETAILED PLASTIC TRACK.THREE REALISTIC FIGURES, OPENABLE HATCHES.